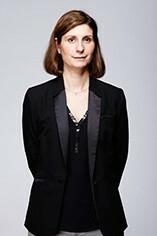 Anne-Françoise Gros, originally of Vosne-Romanée, is married to François Parent of Pommard, where they live, though their wines have been made in substantial premises in Beaune since 1998. The domaine consists of Anne-Françoise’s share of Domaine Jean Gros, additional wines in and around Vosne-Romanée which she has bought or leased, and her husband’s share of Domaine Parent. Her labels sport the outline of a female head, each one different according to the interpretation of the style of the appellation by Anne-Françoise and the artist. From five plots, this gives a very good overview of the appellation. Lovely mid-purple in colour, this is gracious and graceful, with good flesh on the bones and no overt acidity. A fine, plump and pleasing Chambolle. 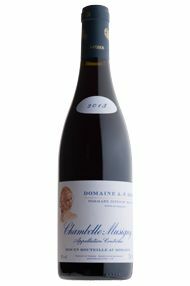 The Wine Advocate - The 2013 Chambolle-Musigny Village, which comes from five tiny parcels, has a fragrant bouquet with raspberry preserve, briary and subtle mineral notes, well defined and elegant. The palate is well balanced with fine tannins and an appealing, silky texture. There is not the huge depth of a more benevolent season, but there is abundant tension and finesse. Enjoy this over the next 6-8 years. Anne-Françoise Gros, originally of Vosne-Romanée, is married to François Parent of Pommard, where they live, though their wines have been made in substantial premises in Beaune since 1998. Their joint living as wine-makers is ably assisted by their children Caroline (pictured) and Mathieu. The domaine consists of Anne-Françoise’s share of Domaine Jean Gros, additional wines in and around Vosne-Romanée which she has bought or leased, and her husband’s share of Domaine Parent. 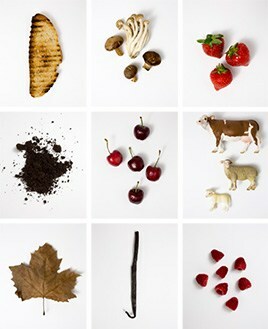 He also offers wines under his own label, adorned with a black truffle. Her labels sport the outline of a female head, each one different according to the interpretation of the style of the appellation by Anne-Françoise and the artist. There has been a sorting table since 2008, after which the grapes are destemmed but not crushed. The grapes are given a short cool maceration, then fermented with more pumping over than punching down, with the juice being concentrated by a similar machine to that used by Michel and Bernard Gros, if necessary.